If you find a lower price we´ll match it, you just have to contact us through the web, by phone or by email. We only request you that, in case of having to cancel or modify your reservation, please contact us in advance. Free Wifi in the whole hotel, no matter where you stay, enjoy our wifi in all rooms and common areas. 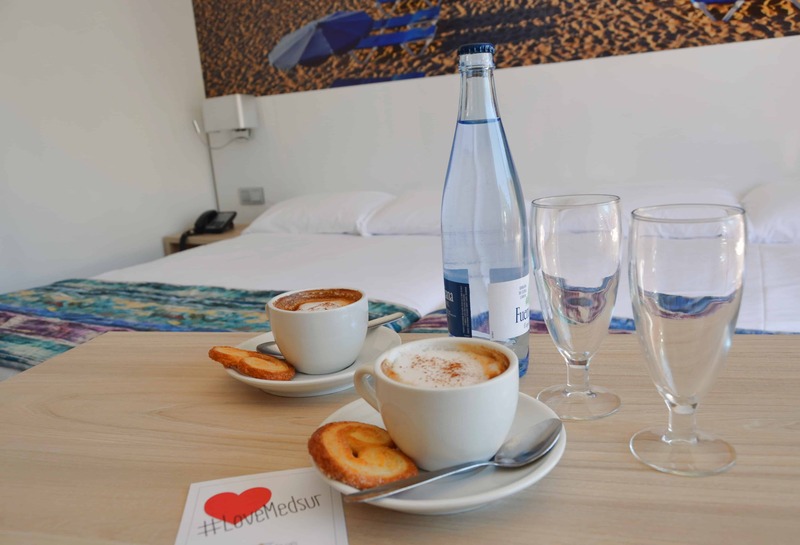 Welcome to the Hotel Medsur-Tropic Relax! 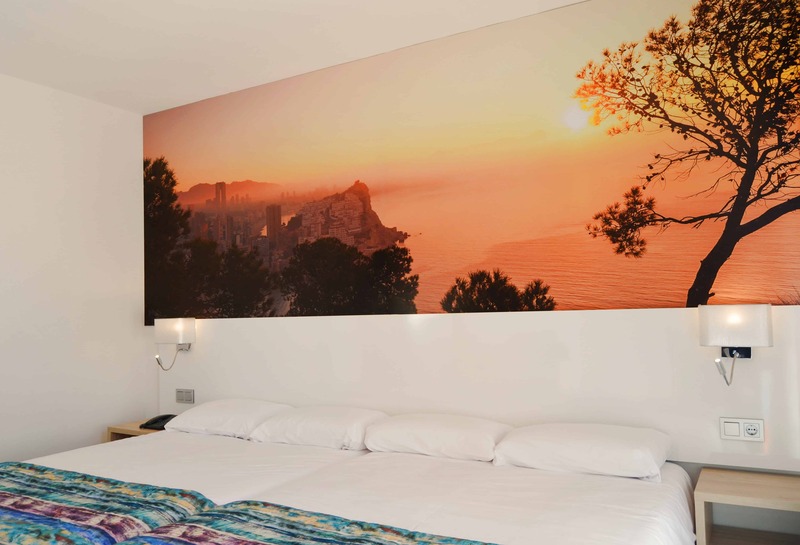 The Hotel Medsur-Tropic Relax, is situated at just 5 minutes walk from the beach at Cala de Finestrat. 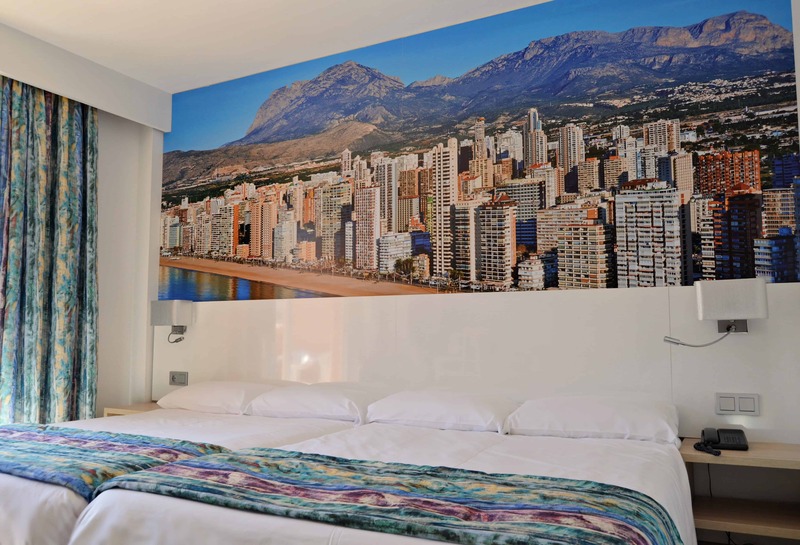 It is connected with the Poniente Beach, Benidorm Centre and the Levante Beach via local buses, which run every 20 minutes, with stops at the main door of the Hotel Alone, and by taxi. 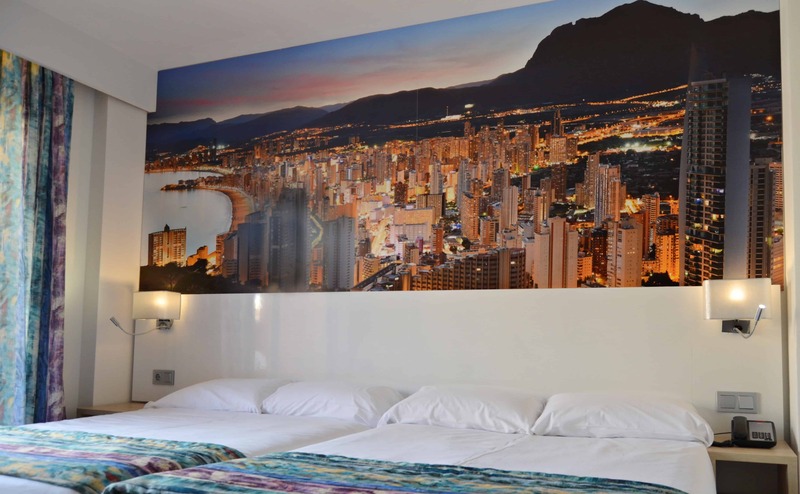 Hotel Tropic Relax is a great option for enjoying a peaceful holiday in Benidorm, without the hustle and bustle of staying in the center. The beach at Finestrat Cala is fine sand and there is a relaxing atmosphere where you will find shops bars, restaurants and cafés. Don’t miss the sunset from one of the many terraces. If you like shopping, we are 15 minutes walking distance from the “La Marina Shopping Centre”, where you can find a range of textile brands in the shopping area plus cinemas, bowls, children´s play areas and places to eat. If you like strong emotions, you will find the largest offer for leisure time in the Valencian Community, like Terra Mítica, Aqualandia, Mundomar, Terra Natura, and a long list of other attractions. If you like going out to explore the surrounding area of Benidorm, you can find a large range of charming places. At less than 10 minutes by car, you will see how the landscape changes. Discover the local culture, relax and enjoy our gastronomy and customs. Our reception staff will be pleased to inform you. Discover Altea, Guadalest, Villajoyosa, natural spots such as The Fountains of L’Algar, and many more options. The night life is one of the biggest attractions of Benidorm. You can enjoy the sunset from a terrace in La Cala de Finestrat, relax at a snack bar on the beaches of Villa-joyosa or have fun in the cafes, pubs and discotheques which have made Benidorm the capital of entertainment on the Costa Blanca. Since the Benidorm “Song Festival” started, music has always been a fundamental part of our culture. Other important festivals and concerts which have taken over from it are The Low Cost Festival, The Iberia Festival, the Salsa Congress. If what you want is to sit about peacefully at the hotel doing nothing in particular, don’t worry.. Our staff in the café will make sure you are well attended, while you relax in the “chill-out” area or in the pool and the entertainment crew will not allow you to get bored at any time. 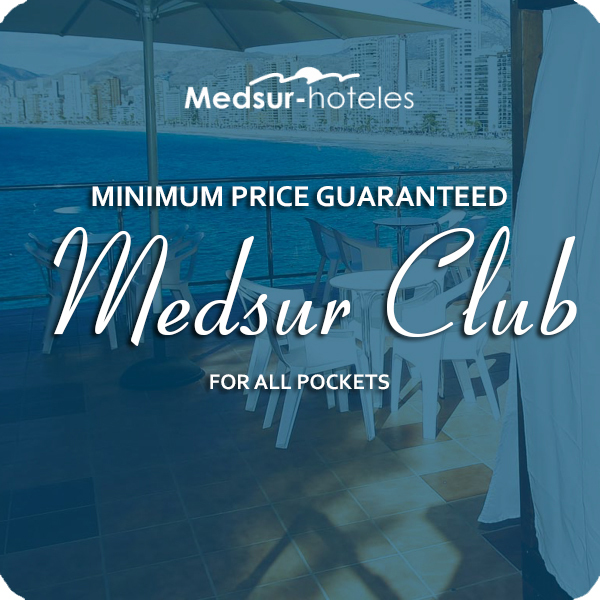 The Hotel Medsur-Tropic Relax and Benidorm are a great option for enjoying the sun and the beach with your family, also because of our night life offer that is one of the biggest attractions of Benidorm, or why not, for enjoying a peaceful holiday with friends or a partner. 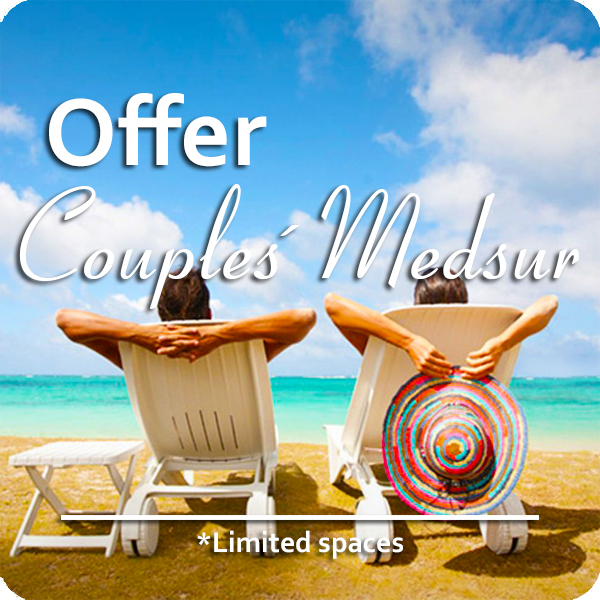 The Hotel Medsur-Tropic Relax, has 98 spacious, exterior rooms with terraces. 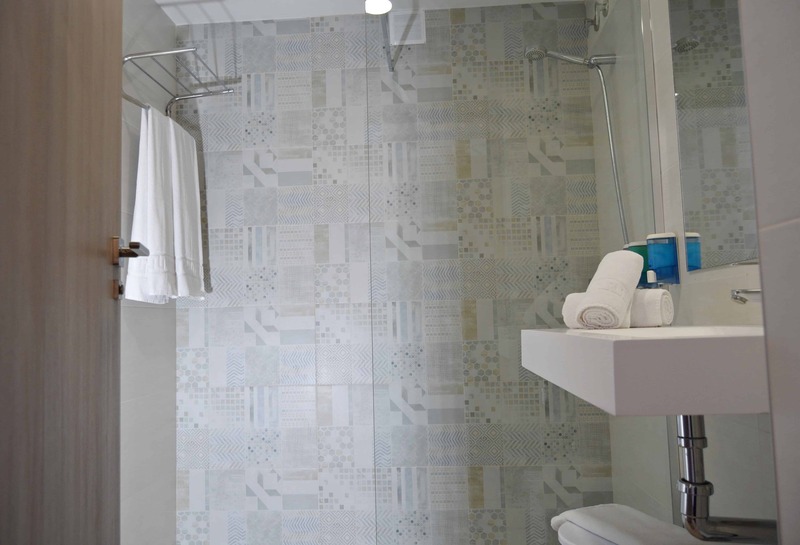 They are exclusive design and have a full bathroom, telephone (in both the room and the bathroom), heating and air-conditioning, flat screen T.V. and a safe box (optional). If you need a hair-dryer or an iron you can ask for it in reception. If you need a cot, we can supply one on demand and according to availability. The cost of a cot is 7 euros per night. Hotel Tropic Relax is easily accessible and provides adapted rooms at no extra charge. To be certain of the availability of such rooms it is best to reserve them in advance. 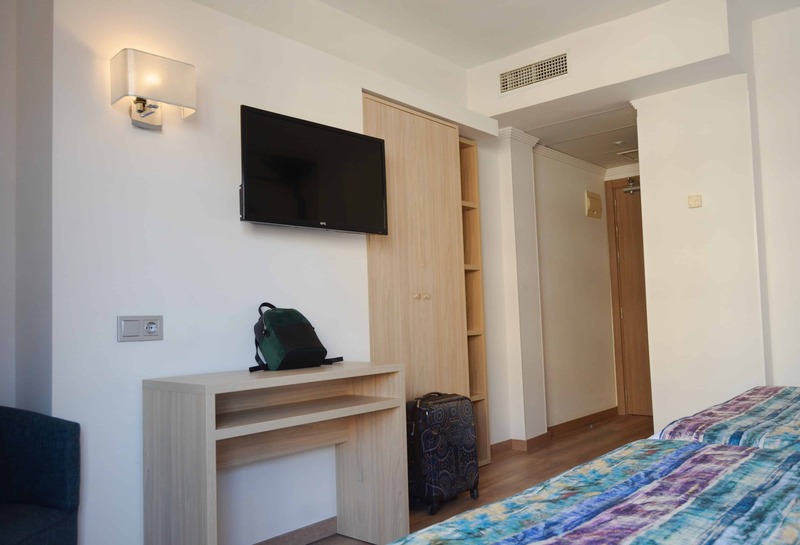 If you are travelling in a group, with family or friends, and need several rooms, you can mark this on the reservation form and we will try our hardest to give you ajoining rooms, or as near as possible. Do you want special prices for your vacation? 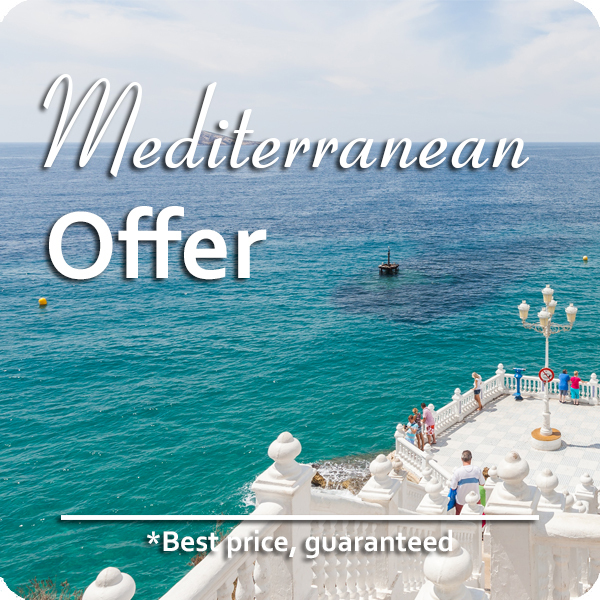 Select our “Mediterranean Offer” and enjoy you stay in one of our 3 stars hotels in the White Coast. Do you have a few days off and you do not know what to do? Enjoy our #PartnerOffer with whom you want, your partner, a relative, a friend..
¿What are you waiting for? Do you fancy something to drink? Relax and enjoy a refreshment, a coffee or one of our cocktails. Don’t forget to ask about our special offers and contests. From 10.00 am. to 01.00 am. in Summer. If you have made your reservation as Half Board, you can decide if you prefer lunch or evening meal, just specify it in the reservation or comment it to our staff at reception. Don’t forget to ask about our special offers and contests. Take a picture with us, share it on Instagram o Twitter and enjoy special offers and discounts in the café. Health is very important, so if you are a Celiac or have a food allergy of any sort, don’t doubt in letting us know. Comment it on your reservation or tell us at reception when you arrive. The person in charge will contact you in order to prepare the menu for your stay. We also have the information referring to allergic content of our menus. Begin the day with lots of energy. The best way to start the morning off is with a good breakfast.. In the buffet we also have lactose free milk and sugar free products for breakfast. The young members of the family can have a small-size menu during the summer season (mid-June to mid-September) So that the younger members of the family are comfortable we can provide high-chairs. Don’t doubt about consulting anything with the members of our team. We are ready to answer your questions and solve your doubts so that you enjoy your stay 100%. We want you to get to know us better. That is why we introduce local products and traditional recipes in the menus of our restaurants. Breakfast: 08:00 hrs. – 10:00 hrs. Lunch: 13:00 hrs – 15:00 hrs. Evening meals: 19:30 hrs. – 21:30 hrs. Breakfast: 08:30 hrs. – 10:30 hrs. Lunch: 13:30 hrs – 15:30 hrs. Evening meals: 20:00 hrs. – 22:00 hrs. Entertainment 2 x 1. As they are adjacent (Hotel Alone if you wish, you can enjoy the activities of entertainment of both the hotels. We will not let you feel bored at any time. Have great fun with the activities we organize in the pool for all the family. Forget everything while you participate in our yoga and relaxation classes. Each night we organize a different party. Our staff in the reception department of Hotel Tropic Relax is at your disposition 24/7 to help you, answer any questions and solve any doubts. Ask us anything you like. We will be only too pleased to be able to help you, answer your questions and resolve any doubts. We know you are longing to start your holiday; however, you must take into account that sometimes there are a lot of clients who wish to get their rooms allocated at the same time. 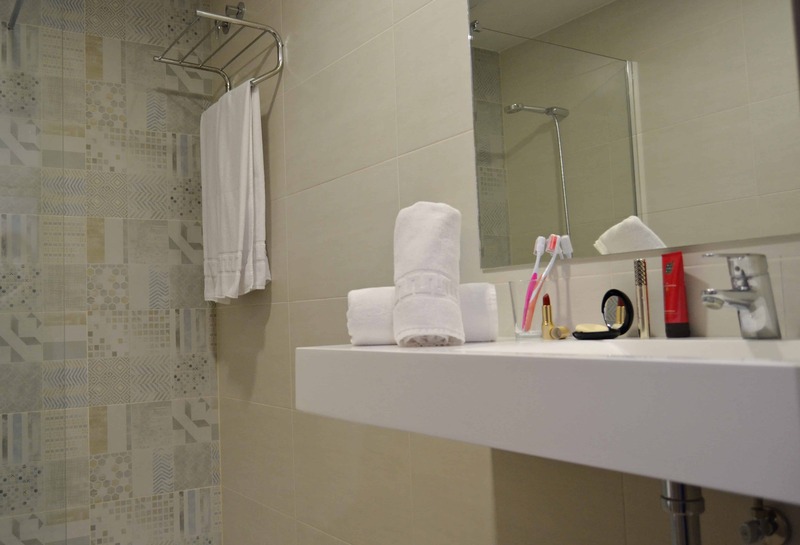 If the day you are leaving you need to stay in bed a bit later or you wish to spend a while in the swimming pool and get changed later, you can request a late check-out the day before in reception, depending on availability and cost. To avoid oversleeping and arriving late for any excursion or appointment, we have a call service. The day you are leaving you may leave your luggage in reception at no extra charge. If you need a taxi or a rented car don’t be afraid to ask us. We can arrange it. 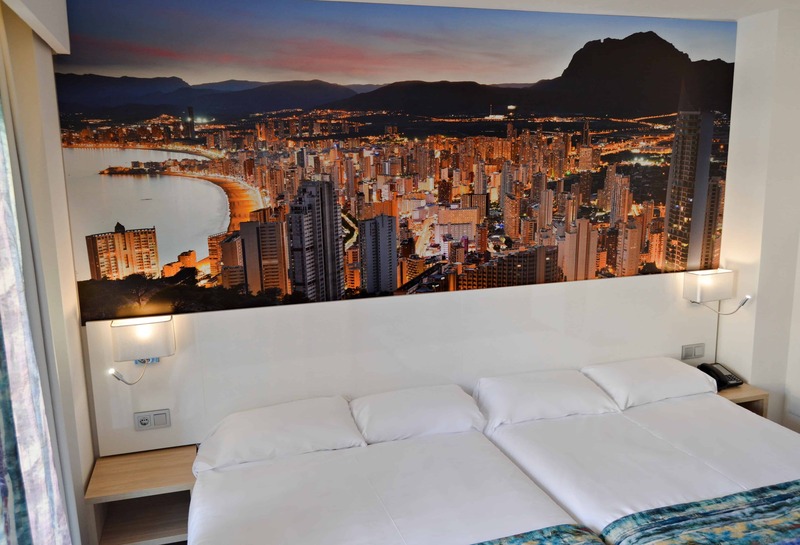 We know that parking in Benidorm,especially in the summer months, can sometimes be complicated, so, Hotel Tropic Relax together with Hotel Alone, has various areas for free parkingbut with limited spaces. If you decide to spend a whole day out, but you are paying for Full Board, you can tell us the day before (no later than 20.00 hrs.) and we can prepare a picnic for you to take along. As we know you like to be connected, we provide Wi-fi service free of charge in all the hotel.. If you need a change of look or a relaxing massage, walk into our beauty salon. If you are coming by road is very easy, as the exit 65B from the AP7 motorway brings you right here to Hotel Tropic Relax.. If you are travelling by bus, ou can catch a local bus at the bus station which will drop you 500 meters away from the hotel. With regard to the train, Renfe have a station in Alicante which has had a service with AVE from Madrid for the last few years. From there you can decide whether to continue the journey by bus FEVE (local track railway connecting Alicante with Denia) or more comfortably by taxi. Lastly, from the Altet Airport you can catch a bus which connects with the bus station in Benidorm, a transfer which you should reserve beforehand, or if you prefer, a taxi which has a rank at the Arrivals and Departure sections of the airport.